Well, hope you all had a great Christmas? I had an extended one as being from the Motherland originally- I have the 26th off, named Boxing day, so a nice break-albeit the water main broke the day before Christmas eve and we still have no water, but should be back to a somewhat normal way of life by Monday. 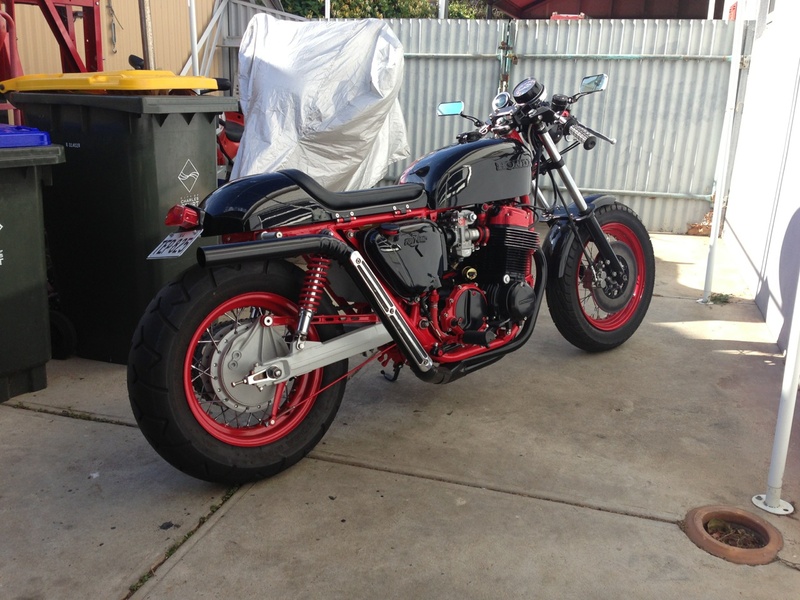 So- I am at the shop, catching up on emails and orders etc and thought I would put a couple of cool photos up of a customer of mine in Australia, here are just a couple of his CB750’s he has built over the years. A 17 and 16 incvh set of rims lowers the bike as well as a custom swing arm with the rear brake hub spun around, an old trick we used to do many moons ago, big motor,cam and carbs and this hauls balls down under. Interesting side swipe exhaust system too makes this stand out oin the crow thats for sure. 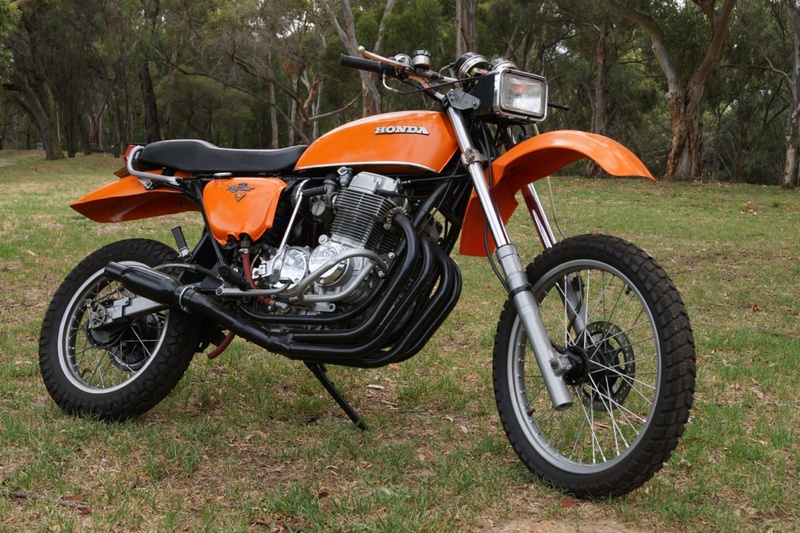 Another is this cb750 that he built into a Enduro/Trail bike. Here is his little email. G,day thought you might like this one/Built in 1988 has XR600R suspention -Great bike to ride!! If honda had made a 750 trail bike this is how it would have looked!! I thought you would dig them as much as I have, a great looking machine and I too would of bought one, cheers Dave, send some more photos. 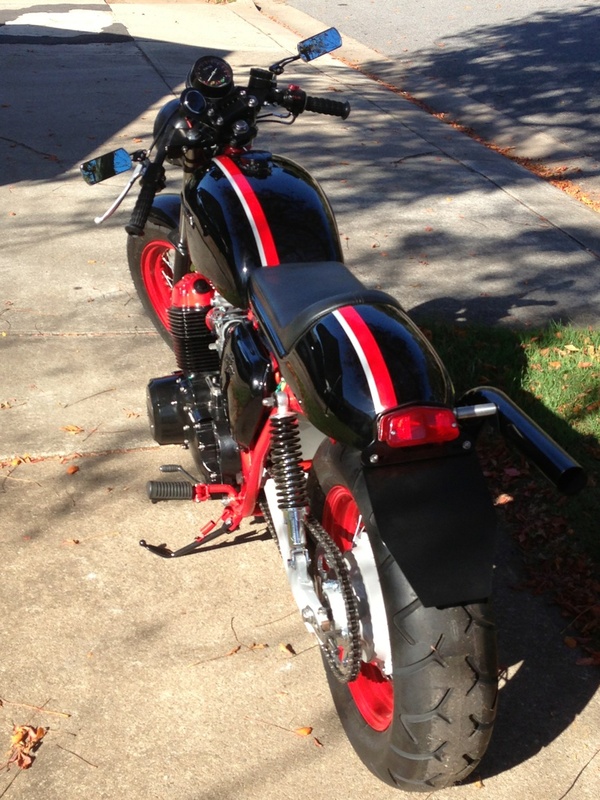 This entry was posted in Blog and tagged cafe racer, cb750, cb750a, cb750f, cb750k, custom, Honda, sohc, vintage motorcycle.